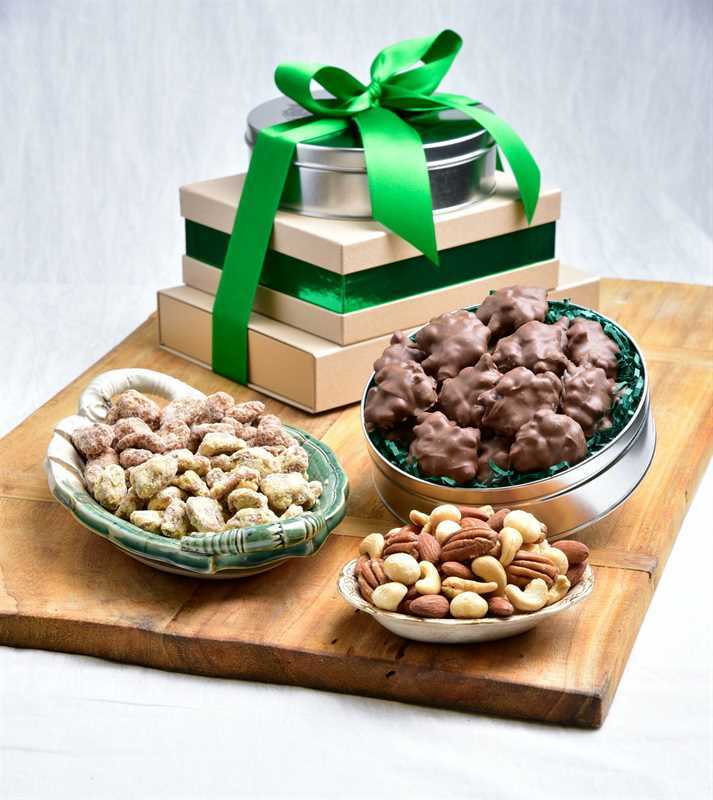 Four of our popular Sunnyland pecan treats. 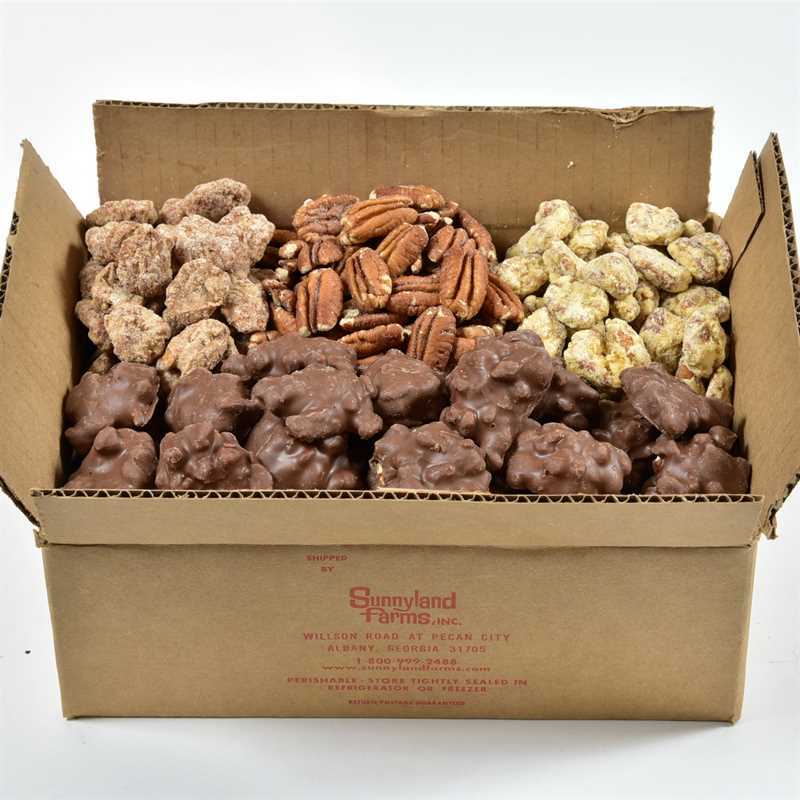 You get 9 individually wrapped Milk Chocolate Pecan Caramel Clusters and 7 oz each of Orange Frosted, Sugar ‘n’ Spice and Toasted/Salted Pecan Halves. 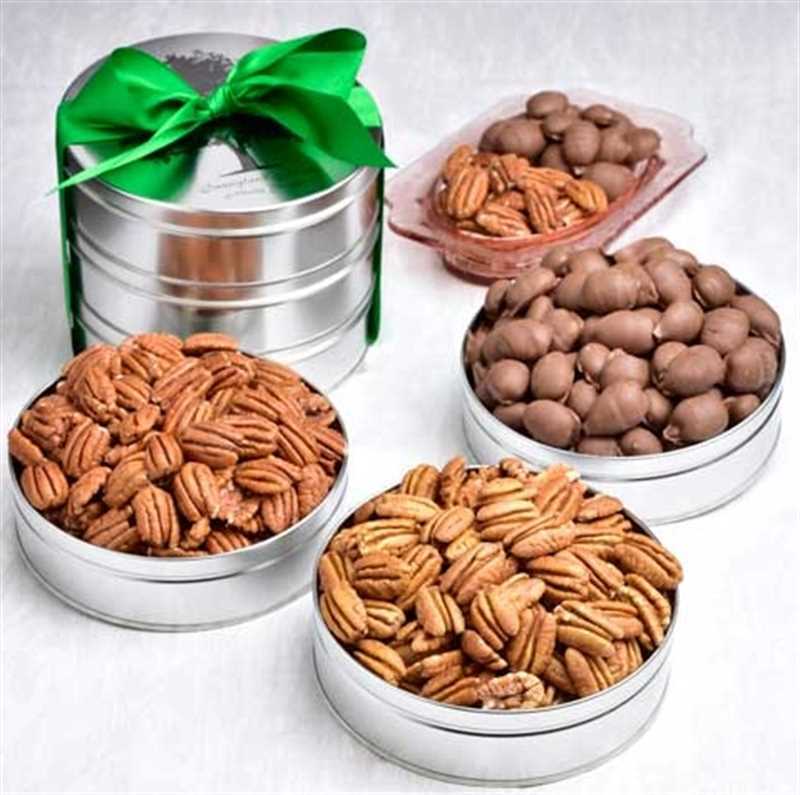 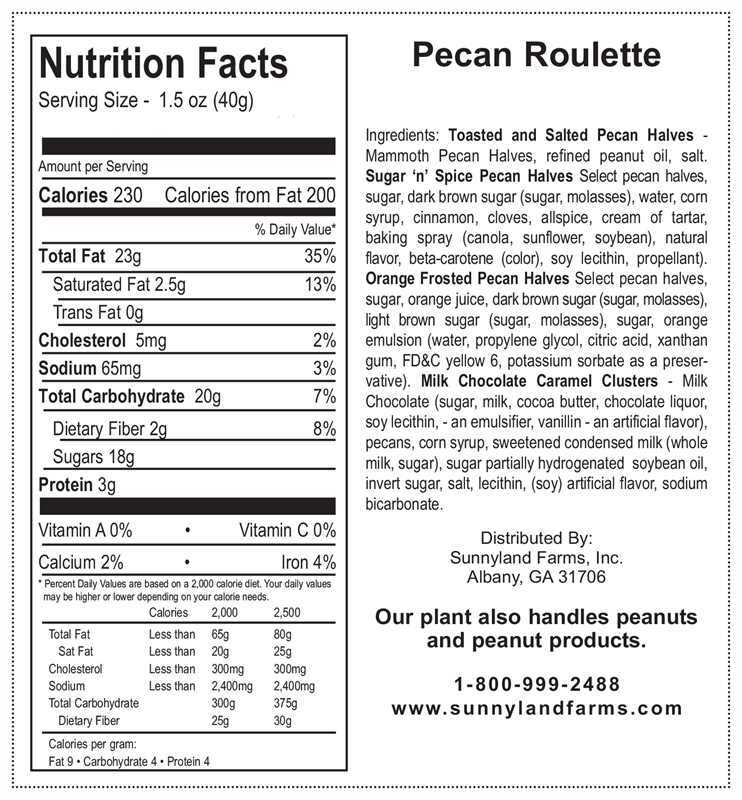 Our Pecan Roulette is available in one of our lovely freindship tins or in an economical home box! 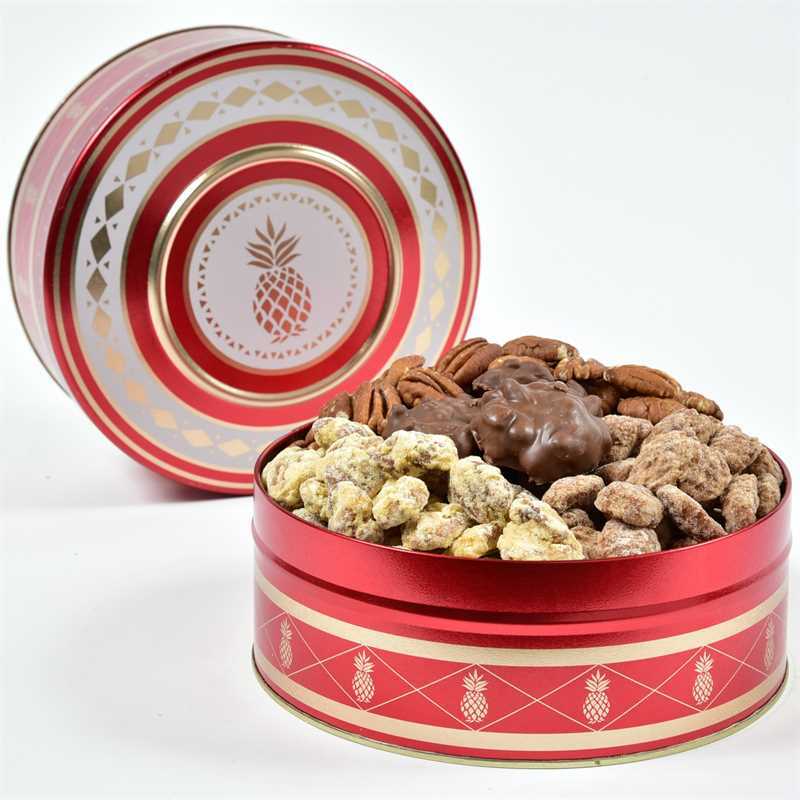 Looking for a similar product? 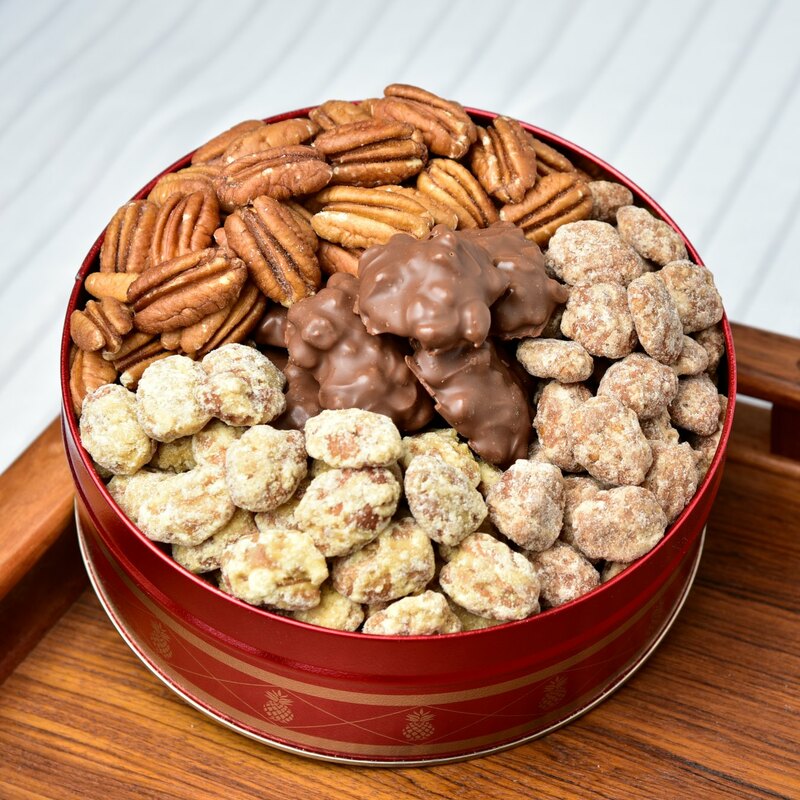 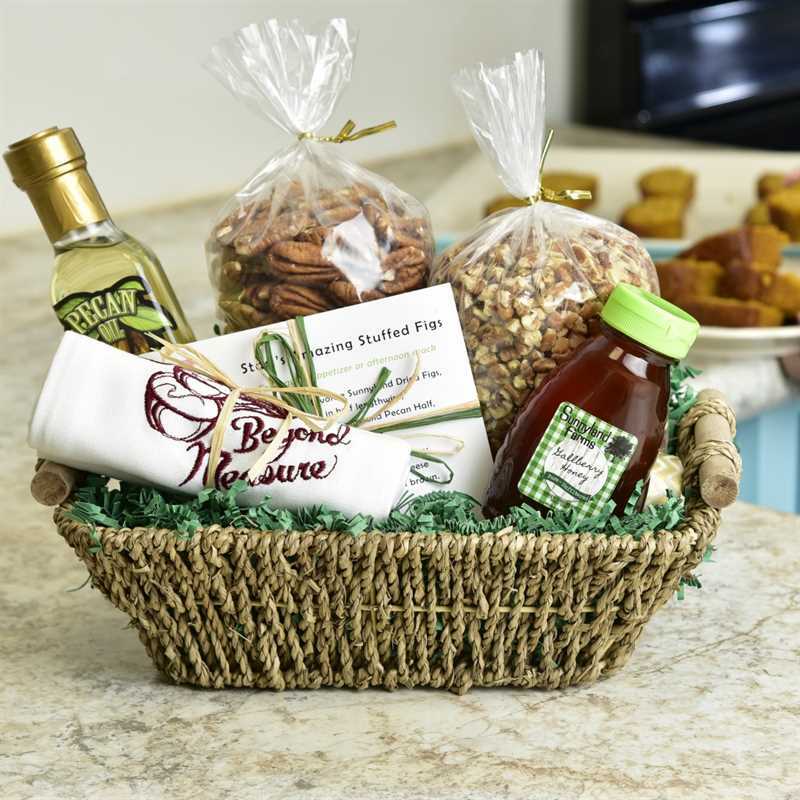 We have a wide variety of pecan shapes and textures, including whole pecans (salted and unsalted), pecan meal, other multi-pecan combos, and much more!